I have been using the Nik Collection, a series of plug-ins for Lightroom and Photoshop, for nearly the past decade. Over that span of time, the software transitioned owners three times, from Nik, where each module would set you back $149, to Google, where the entire set of plug-ins became free, to it’s new home at DXO, where you can buy the collection for the introductory price of $49 until July 1st, after which the price will jump to $69. If you haven’t been using the Nik Collection, I urge you to try. The product now consists of seven modules that make it easy to do many things from applying antique filters to reducing noise to applying spot adjustments and vignettes and even combining multiple exposures into an HDR image. I use two of the modules, Viveza and Color Efex Pro, on probably 90% or more of my final edits. DXO is offering a 30-day free trial of their improved product, so you can give it a go before making a commitment to purchase the collection. While those with a free version of Nik might be hesitant to pay for a product they already have, one of the issues with Google giving away the product for free is that they stopped providing upgrades and support for the product, which has become an issue with the cloud based subscriptions for Adobe products. With every Lightroom or Photoshop upgrade, new compatibility issues were introduced, a problem that I think has been more pronounced with Apple and Mac based systems. My current version of Nik Color Efex Pro causes Photoshop to crash completely. Even if you aren’t already having issues with your free Google version of the Nik Collection, chances are you will in the future as Adobe continues to improve and modify its products, which it has to do constantly in order to provide support for new cameras. The plug-ins are super easy to download and install. If spending $50 on computer software isn’t your cup of tea, download a trial version first and see if you can actually apply it to your work. Once you try Nik’s products, I bet you’ll find it hard not to justify buying the package outright. Just be sure to buy before the July 1st deadline if you want to save $20. To download or learn more about the Nik Collection, visit DXO’s website. Posted in Photography, Tips and Tricks, Website Updates and News and tagged Color Efex Pro, DXO, editing, Nik, Nik Collection, plug-in, software, Viveza on June 7, 2018 June 7, 2018 by Kari. I’m so super excited to unveil my new website just in time for the holidays! Most of the tweaks are actually pretty small, but overall I love the new design and hope you will too! The Homepage – A slideshow of big, screen filling images and minimal text now greet you when you first stop by the website. This clean, modern approach is far less cluttered than the old site and easily the most noticeable and dramatic change. Responsive Design – The entire website is designed to shrink and stretch to accommodate different sized screens and viewing platforms, making the site easier to view on multiple devices including phones, tablets, and computers. Responsive Images – Images resize to fit your screen. Smaller versions of images automatically on smaller screens for faster performance on mobile devices and larger images have even more clarity on high resolution retina displays. The images do resize according to horizontal resolution, so if you find yourself still having to scroll up and down to see the entire image create a narrower browsing window and the problem will resolve itself. Larger Images – Images on the new website are at least 50% larger than the old site, so viewers with larger monitors and retina displays will be able to appreciate much more. New Font – The entire website now uses a clean sans serif font for easier viewing and a contemporary look. This font is also more reader friendly for those with failing vision or reading difficulties. New Logo – I’ve redesigned my logo to better reflect my evolving style and match the clean font of the new site. Plus its got color! 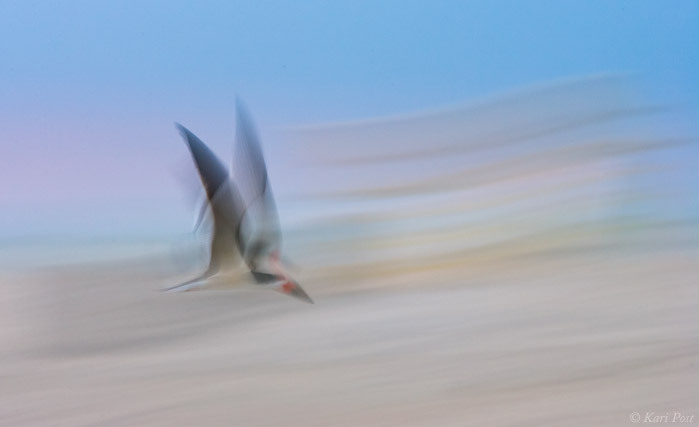 New Galleries and Images – I reorganized some existing galleries and have added some new photos to the website to showcase the diversity of subject matter I shoot. Expect to see more new images added in the coming months. 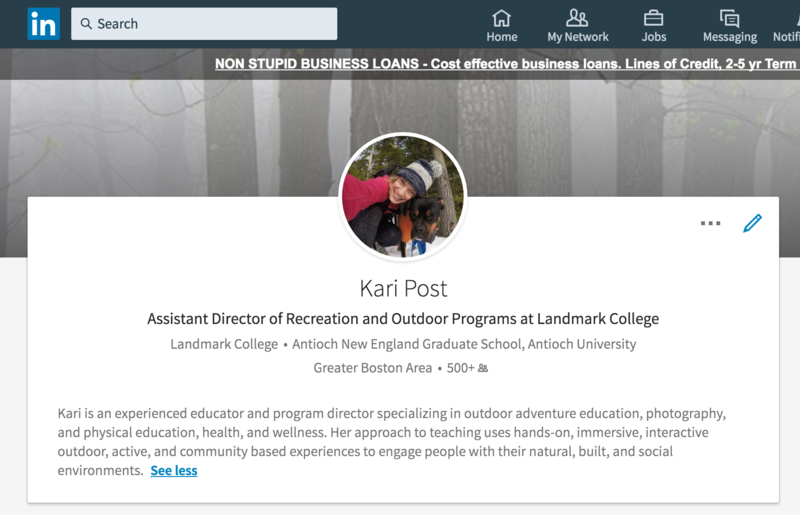 Updated Search Feature – The search page on the new website also has a search map that suggests keywords for searching and organizes images – eventually it will also enable you to find images not found in the regular galleries. Special thanks to my web designer, Jack Brauer of Wide Range Galleries, and my friends Todd Miller, Andrew Bagley, Rebecca Inver, and Sean Wiley for beta testing the new design for me and giving me some great feedback. I hope you like the new site! Posted in Photography, Website Updates and News and tagged mobile friendly, new features, new logo, redesign, responsive images, responsive website, slideshow, website update, Wide Range Galleries on November 18, 2016 November 18, 2016 by Kari. Those of you who have been following along know I’m a pretty erratic blogger. I go through spurts where I shoot and write somewhat consistently, but the long gaps in between these moments are far more common. Case in point – my last blog post was at the end of 2015, and it’s already August. Over the years, I’ve let photography’s role in my life change pretty dramatically. At one point it was a constant presence. I shot regularly, spent time marketing my work, traveled, entered contests, taught workshops, and developed a somewhat recognizable brand for a few years. Now, I probably take a thousand snaps on my iPhone between breaking out my DSLRs for a spin. My name is no longer relevant in photography circles, my gear is several generations of equipment old, and my laptop hit the four year mark sometime early last year (I’ve found that four years is about how long I’ve typically been able to manage between computer upgrades) and struggles to keep up with RAW files and the most recent software. 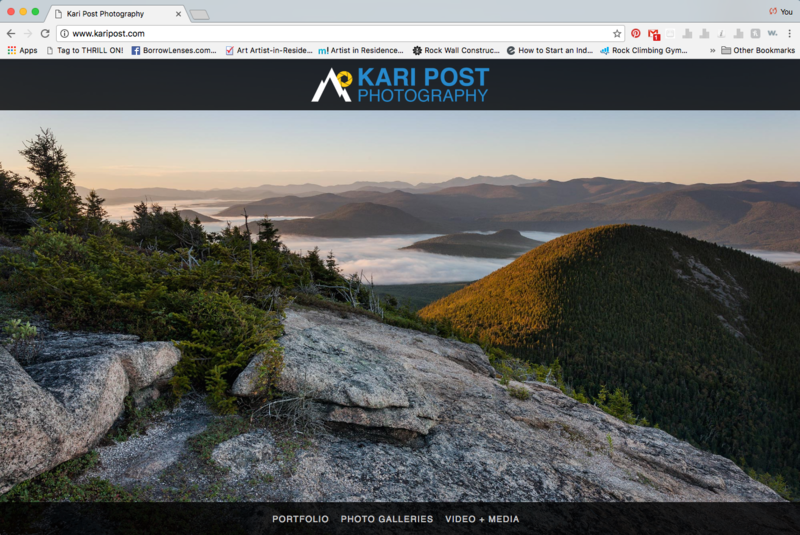 Ten years ago, my first photography website under the domain karipost.com came to life. That’s a whole decade! In those ten years, I’ve revamped my website several times and tried various ways of marketing my brand and connecting with potential buyers, clients, and students. Clearly none of those stuck, otherwise I’d still most likely be doing them. Still, the nostalgia of being in this business for so long makes me want to resurrect my stagnant website and start shooting, writing, and sharing my work again. Posted in Photography, Website Updates and News and tagged anniversary, ten years, website on August 9, 2016 by Kari. I am the Facebook generation. Facebook became a thing my freshman year in college. That means I was one of the first to use the online social media platform. Since 2004, I have had a Facebook page and lived my life, or at least part of it, through an online profile. I never had a MySpace profile because I found them too creepy. Facebook, in it’s infancy, was different. When I joined, Facebook was limited only to those with college or university email accounts. This automatically limited the audience of my profile to those similar in age and pursuing an advanced education degree – this exclusivity made it seem safer to me somehow. While my first connections were friends and classmates who I interacted with in person on a somewhat regular basis, today my Facebook friend network includes more than 1500 people, plus I am an administrator or contributor to at least a half dozen each different pages and groups. I also have accounts on Twitter, Instagram, Google+, and Pinterest, and have tried three different online dating platforms at different times. Facebook is by far the worst. Rarely does a day go by where Facebook is absent from my life. I connect to it constantly, even when I don’t mean to. Sometimes I just type “facebook” into my browser window without realizing it, or tap the app on my phone by default. I don’t think it would be a stretch to say that I spend hours on Facebook more days than not. Some of it is useful – I get my news from Facebook and it reminds me of birthdays and upcoming events – but most of that time is a waste. While I appreciate Facebook’s convenience and how it has enabled me to stay in touch with or reconnect with friends from past chapters in my life, I often wonder how much more productive I would be – and how much better I would feel about myself – if I could quit Facebook. I admire those without Facebook accounts – I really truly do. I suspect those people accomplish more with their day and feel more fulfilled in general. I think Facebook and the internet in general is a paradoxical wonder. Strange it seems that these platforms simultaneously connect and disconnect us from one another. Digital connectivity means that young people are spending more and more time “living” through media than being present in the real world. I think it’s sad. Take the typical weekend night out for a single 20-something. Dinner with friends at a restaurant, followed by a trip to the bar/club. Just fifteen years ago, this would have been accomplished without much of a fuss, maybe a call or two to a friend to confirm a location and time, or to arrange a meet up with other friends later. Today, at a restaurant there is the obligatory check-in on Facebook, checking texts or likes during dinner, swiping left or right on Tinder en route to the bar, and at least a couple Snapchats posted while grabbing drinks or hitting the dance floor. Today, millennials and younger document their every move via social platforms. Post about it or it didn’t happen. What we do and don’t post to social media paints a distorted picture of what our lives are really like. Everything on Facebook, like photos posted to Instagram, has a filter applied. The one I use most often is “happy.” I post mostly about things that make me smile and feel good. I don’t do it to try to make my life look better than anyone else’s (the not so subtle humblebrag), but I generally try to post positive things because that’s how I’d like to see myself – positive, upbeat, and generally hopeful, not whiny, complaining, or criticizing. Like everyone else I have good days and bad days, but I’m unlikely to share the negative ones on such a public forum. To me, those moments are more private and intimate, and ones I’d prefer to share with a select audience of friends and trusted souls. My choice to share my finer moments is not a deliberate decision to overshadow others experiences or to disregard my own pain and sadness. I’m not competing, I’m just trying not to look like an a$$hole in public. The truth is, despite all of the conveniences, I think social media is a burden. Which is why I want to quit Facebook. Unfortunately, social media has become so heavily ingrained into our society that quitting has become a great sacrifice. Not participating in social media is just not an option for many small businesses or organizations that rely on Facebook and other platforms for marketing and communication. 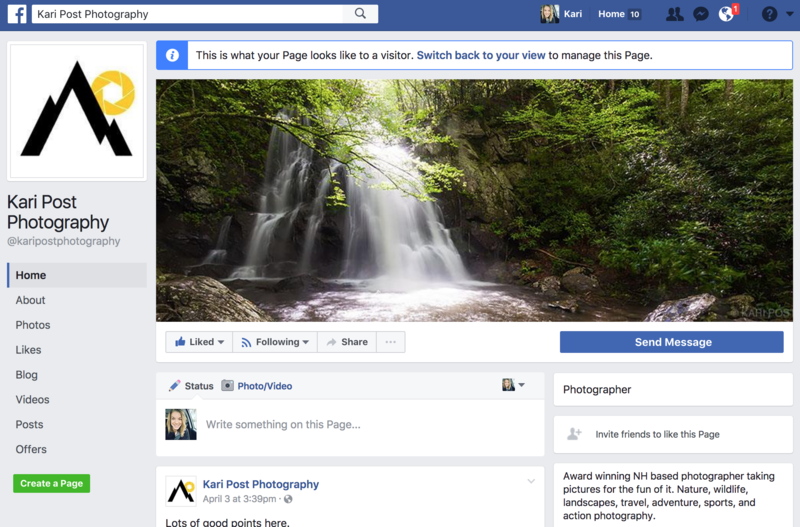 So far the reason I haven’t managed to quit Facebook is because I use it for work and my photography business. Deactivating my account would leave me unable to post to those pages, and I don’t have an alternative solution for that. What I do know is that Facebook causes me to sit at my computer more, which means I am less active and less engaged in my life outside of the digital world. I stare more at my computer screen than my garden and sometimes spend more time chatting with friends online than with friends in person. Chores that need to be done, such as sorting through moving boxes, mowing the lawn, making the next days meals, and cleaning, don’t get checked off my list in a timely manner. My workouts, which I depend on for my sanity and well being, get cut short and delayed because Facebook distracts me from being able to efficiently manage my time. I get headaches from staring at my screen for prolonged periods and also allow myself to get dehydrated from drinking too little water. I rarely get eight hours of sleep a night and often have trouble falling to sleep, no matter how tired, run down, and sometimes sad I feel. Facebook is no friend of mine. I wonder what life will be like without Facebook. Will my photography business suffer because my photographs won’t instantly pop-up on followers’ feeds? Will I miss out on important milestones in friends’ lives? Will I not get invited to parties or included in events because I cannot be invited to them with a single click? Will I never see the photos my friends take of me? My mom lives several hours away and we see each other for short periods of time only a few times a year when I go to visit her. She has never seen my house or met a single one of my friends who is active in my day to day life right now, but she has seen pictures on Facebook. I can’t text my mom photos because she doesn’t have a cell phone and the firewall on her computer at work email attachments and messages inconsistently, so Facebook is the easiest way for me to share pictures with her. 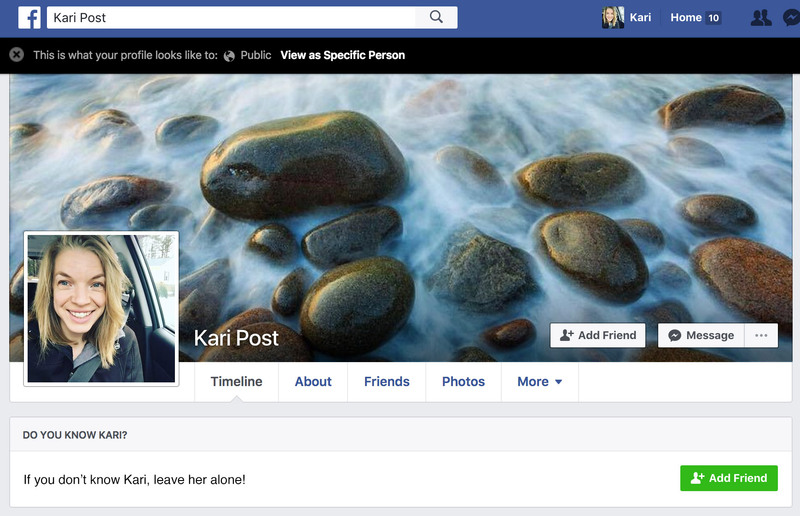 In fact, the only reason my mom has Facebook is because I invited her so that I could show her photos (specifically, those taken of me but posted by others on Facebook and not shared publicly) – she never posts anything or “likes” or comments. I wonder how disconnecting from Facebook will affect my relationship with her. Will the distance feel farther without photographs for her to see? Sometimes I long for the good old fashioned days of my childhood, when I entertained myself with balls and books and dirt instead of an internet connection. Even though I can disconnect my Facebook and turn off my computer, it will be hard to voluntarily remove myself from a world that others rely so heavily on. Just because I might choose not to use Facebook doesn’t mean that others won’t, and by removing myself from the social standard, will I, in a way, make myself obsolete? Will the peace of mind I gain from taking a break from Facebook and the computer outweigh the consequences of not posting for work and isolating my photography from the Facebook crowd? Will leaving Facebook help me feel less overwhelmed? Will my social life suffer or benefit? Will I be happier? For a decade, my life has had a Facebook profile attached to it. My entire adult life has been documented, photographed, liked, and hashtagged. I’m not sure I want that anymore. I’m not sure I ever did, but back in 2004 I had no idea that the exclusive college networking site I was signing up for would become the monster that Facebook is today. If Facebook had been then what it is now, I might never have given it another look. A world without Facebook seems foreign to me, in a romantic kind of way. 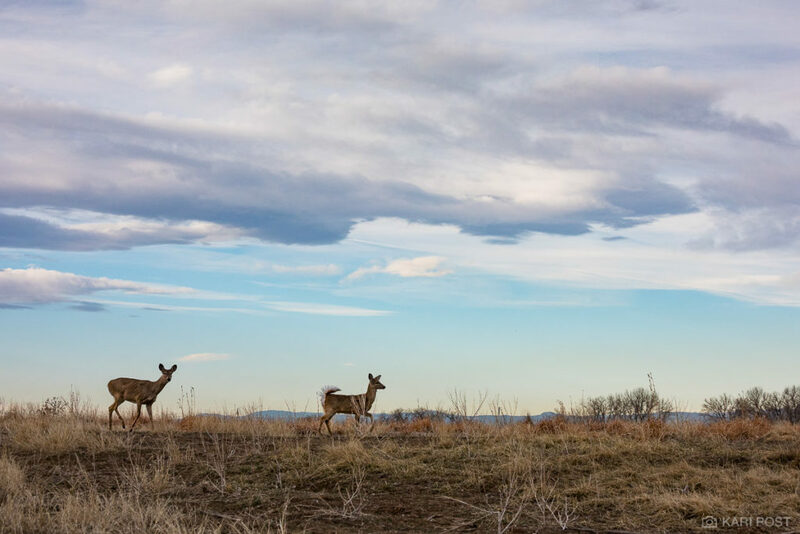 I find myself drawn to the idea in the same way I am attracted to the old time-y rural setting of books like A Day No Pigs Would Die, The Yearling, and Copper Toed Boots, where boys go hunting and fishing in the woods and bond with animal friends. Times when everything seemed so much more simple, when there were fewer distractions and pleasure came from simple things. But like my other favorite genre of books, the dystopian novels of 1984 and A Brave New World, Facebook has created a society where everything we do is watched and recorded, where our “free” world seems strangely suffocating. On some level, when we opt to participate in Facebook we are plugging ourselves into what is essentially a soulless machine. Maybe Facebook is really just Big Brother by a different name. I am starting to think that all of this digital technology makes the world too bright. There is beauty in the darkness that you just can’t see when you are blinded by LEDs. 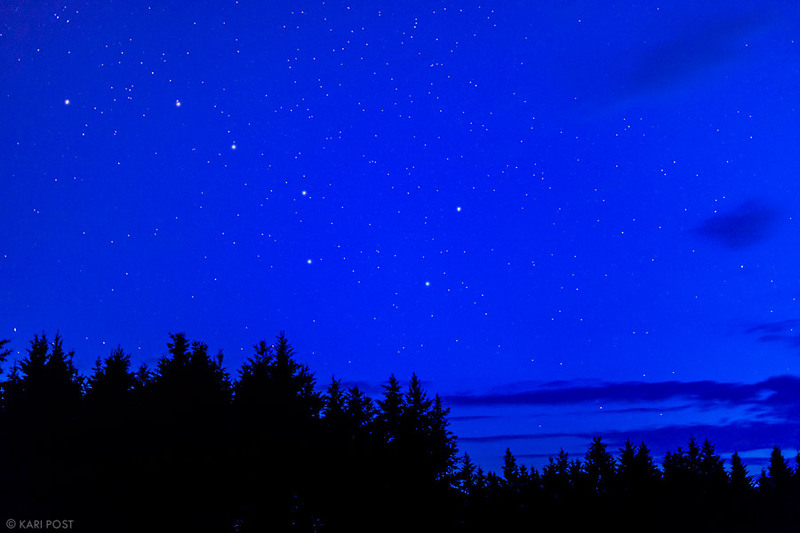 Much like light pollution from cities spoils our ability to observe the night sky and the stars in all of their glory, being constantly connected to Facebook means that we miss out on the beauty in the real world. The subtle things. The things that really matter, that really make a difference, that bring us joy and happiness. They say, only in the dark can you see the light. For me, the time is near when I hope to turn technology off for a while. Not all of it, just the parts I can’t seem to manage while managing everything else, like Facebook. I’m ready to go dark. Posted in Incomplete Thoughts, Philosophical, Website Updates and News and tagged Facebook, humblebrag, social media on June 28, 2015 by Kari. Wow have things been busy. I know I know, my life is ALWAYS busy, but it’s true and I like it that way! 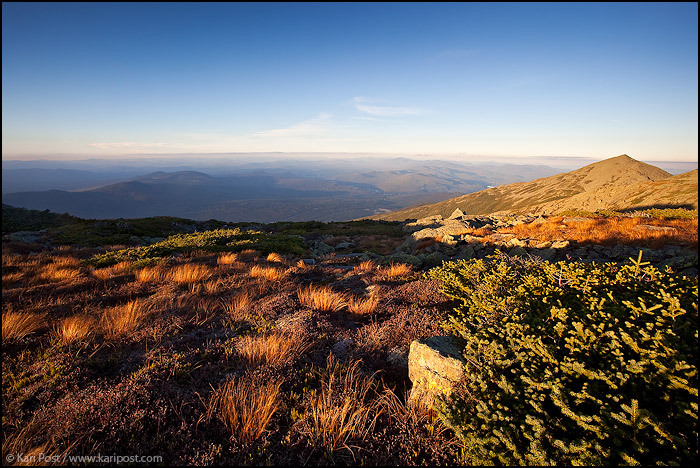 This October, I plan to offer a fall foliage workshop in the White Mountains through the Appalachian Mountain Club. If you have any interest in attending and would like more information, feel free to send me an email so I can keep you in the loop and you can be one of the first to sign up. Teaching photography is not the only thing that has kept me busy this month – there have also been some BIG personal changes taking shape as well. As you may know, I have plans to move from my lovely shared apartment to a new home and some new developments on that front that have kept me very busy. I’m not ready to divulge what they are yet, but I am very excited about them and will reveal what they are when the time is appropriate. In the meantime, I’m still trying to declutter and clean house before my move. My goal is to “Simplify! Simplify!” as Thoreau put it, and get rid of all of my access things and belongings that I have no need or desire to take with me. While I LOVE my photographs, I’d much prefer to sell off my remaining stock, move only things I absolutely want and need to my new home, and then restock prints once I’ve settled in. 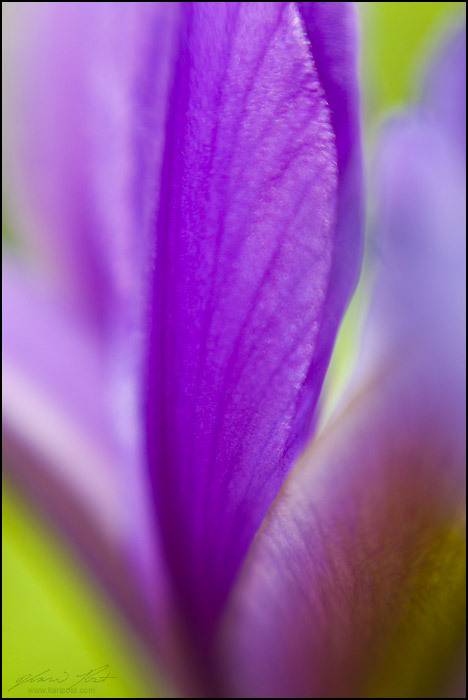 “Iris Abstract” – 8×12 print signed and matted to 12×16 inches, regular price $40 unmatted, $50 matted. SALE price $35 matted! 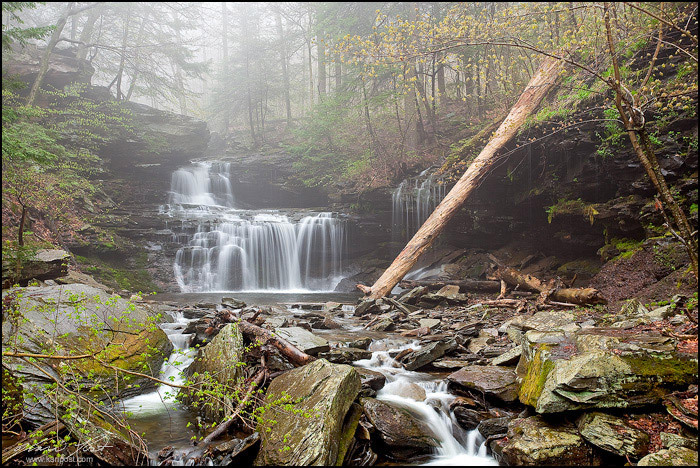 “RB Ricketts Falls in Springtime” – 16×24 print. Regular price $150, SALE price $125! 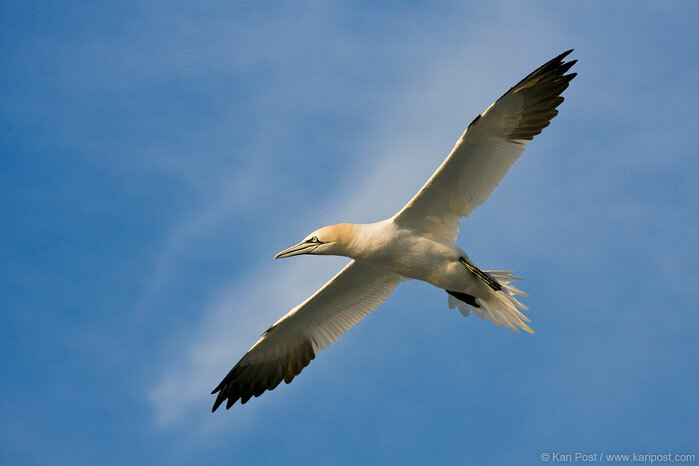 “Northern Gannet in Flight” – 8×12 print signed and matted to 12×16 inches, regular price $40 unmatted, $50 matted. SALE price $35 matted! 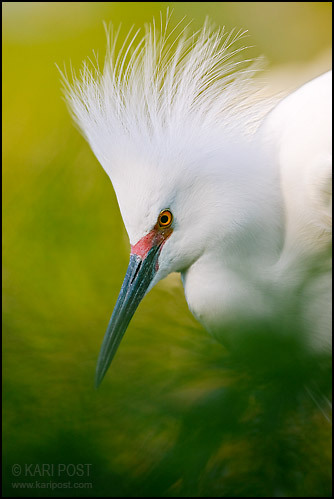 “Snowy Egret Portrait” – 8×12 print signed and matted to 12×16 inches, regular price $40 unmatted, $50 matted. SALE price $35 matted! 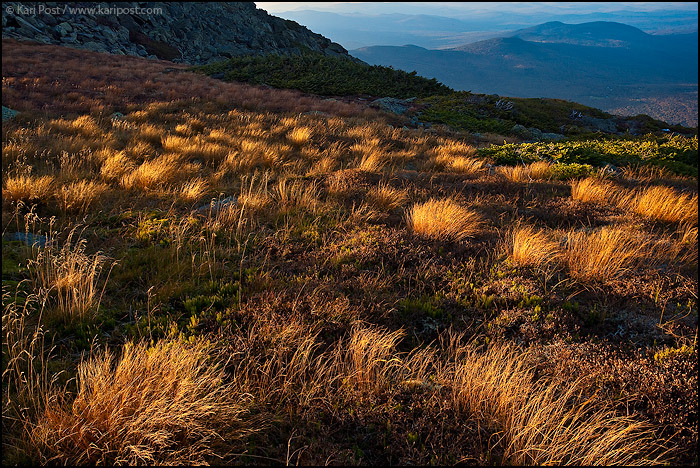 “A Farewell to Summer” – 16×24 printed on aluminum with a glossy finish and ready to hang. Regularly $250, sale price $200! “Madison at Sunset” – 8×12 print signed and matted to 12×16 inches, regular price $40 unmatted, $50 matted. SALE price $35 matted! 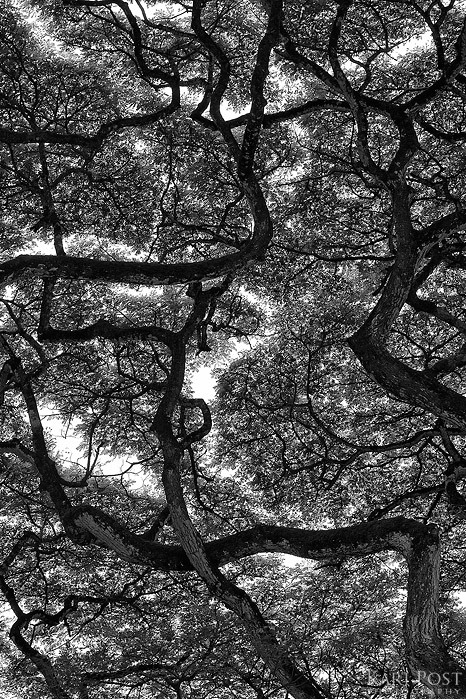 “Twisted” – 8×12 print signed and matted to 12×16 inches, regular price $40 unmatted, $50 matted. SALE price $35 matted! 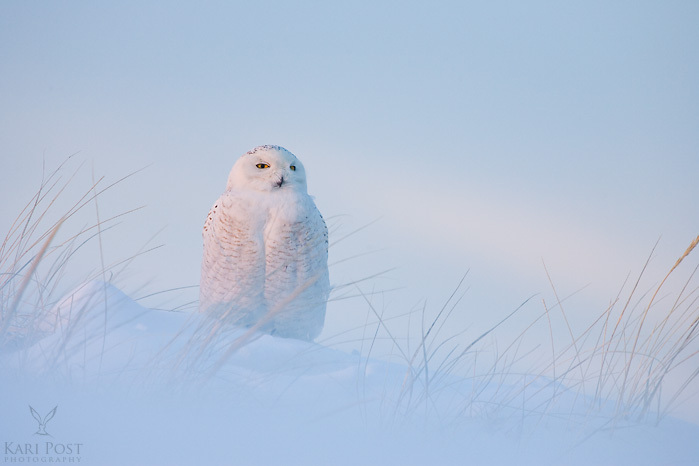 “Snowy at Sunset” – 12×18 printed on aluminum with a satin finish and ready to hang. Regular price $175, sale price $125. 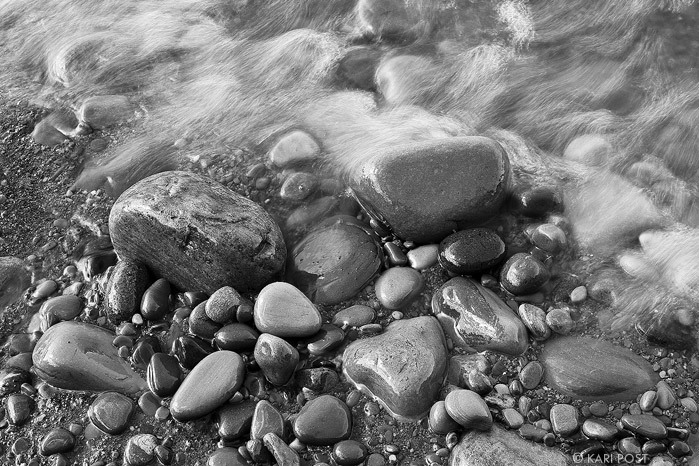 “Waves Washing Over Rocks” – 8×12 print signed and matted to 12×16 inches, regular price $40 unmatted, $50 matted. SALE price $35 matted! 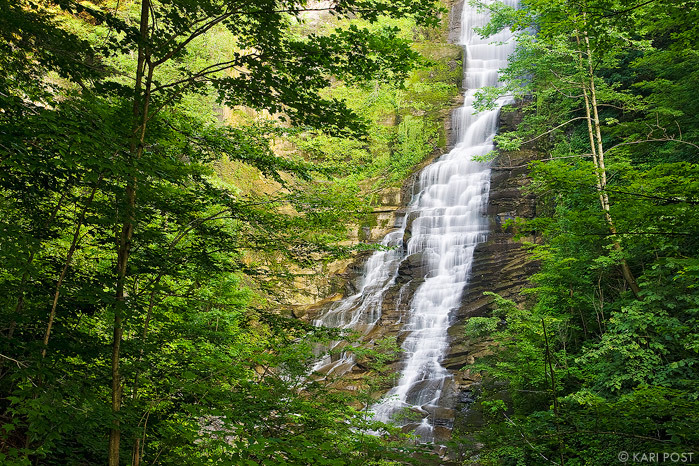 “Pratt’s Falls” – 8×12 print signed and matted to 12×16 inches, regular price $40 unmatted, $50 matted. SALE price $35 matted! 2 available! 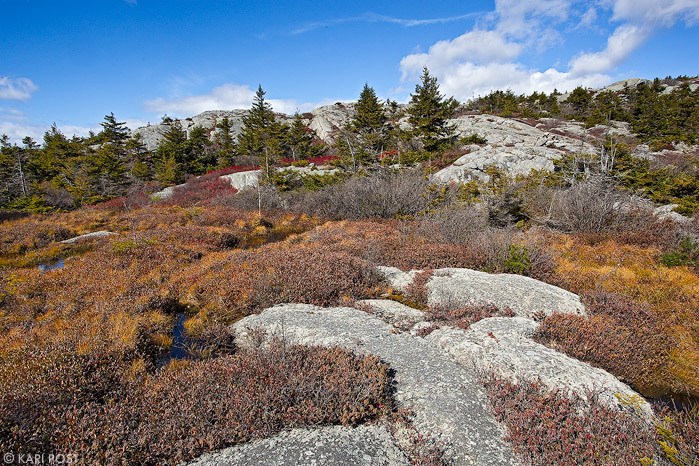 “Bog on Mount Monadnock” – 8×12 print signed and matted to 12×16 inches, regular price $40 unmatted, $50 matted. SALE price $35 matted! Also available is an “Artist Sample” 11×18 stretched canvas of Slow Motion Daydream, sale price $100. Normal price for a non-sample is $250! The Artist Sample means that the image has a copyright on the outside border (along the wrapped part of the canvas, not the front, and would not be at all visible if framed), and has been used for displays so it may be a little less “mint” than a brand new piece. Save 60% by taking advantage of this discount!!! Please send me an email if you are interested in any of these prints or display pieces. Shipping within the continental USA on all prints and matted prints is included in the cost, but shipping costs extra for mounted pieces. Keep in mind that this sale won’t go on forever and once a print has sold, it is gone and any purchases made after will be at the full retail cost. Also, your purchases help me with my moving cost, so buying prints gets you great art at a great price and me a little less stress about my move. It’s a win win for everyone! 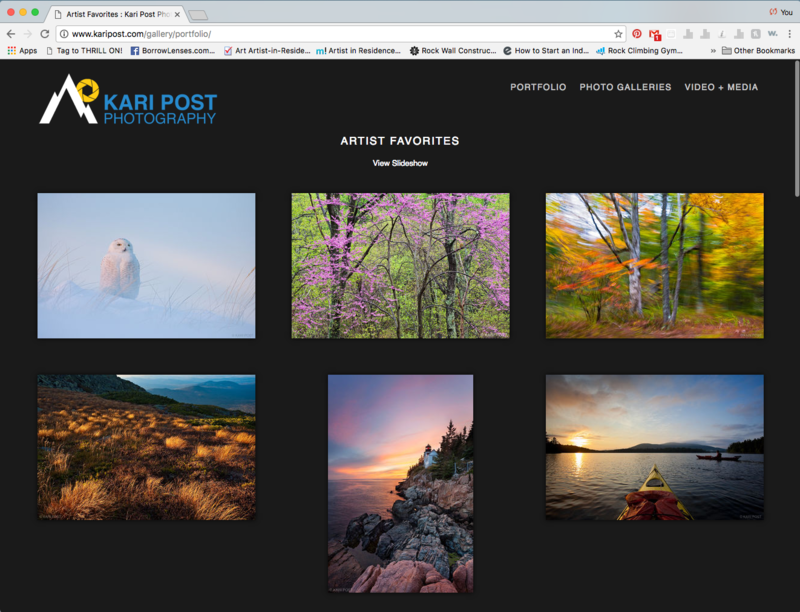 Posted in Photography, Website Updates and News and tagged aluminum mount, AMC, Appalachian Mountain Club, canvas gallery wrap, matted prints, moving, photography workshop, prints, sale on April 27, 2014 April 27, 2014 by Kari.